The association between liver cirrhosis (LC) and diabetes mellitus (DM) is well known. However, the impact of the severity or etiology of LC on the occurrence of DM is relatively unknown. We aimed to determine the prevalence and clinical correlates of DM in a large cohort of patients with cirrhosis. A total of 1,068 patients with LC were included in this cross sectional study (CIRCE study). The diagnosis of cirrhosis irrespective of its etiology was based on histological confirmation by liver biopsy or, in the absence of biopsy, on typical clinical, morphological and biological data. Data related to the cirrhosis etiology: alcohol, viral markers of hepatitis B, C, iron load parameters and autoimmune markers were collected for each patient. Venous blood samples were taken in the morning after 12-h overnight fasting. There were 383 patients with cirrhosis associated with hepatocellular carcinoma (HCC). DM was found in 412 (39.7 %) patients. Patients with DM were older and more likely to be overweight and male, with a family history of DM and a diagnosis of HCC. DM was not associated with a history of stroke or myocardial infarction. Cirrhosis secondary to hepatitis infection was less strongly associated with DM than with NASH or alcoholic cirrhosis. The severity of LC was not associated with DM. In multivariate analysis, the factors associated with DM were age, BMI, a family history of DM, and statin use. There was a significant interaction between HCC and cirrhosis etiology for the risk of DM. Cirrhosis secondary to hepatitis was associated with a lesser presence of DM only in patients with HCC (interaction p = 0.0015). 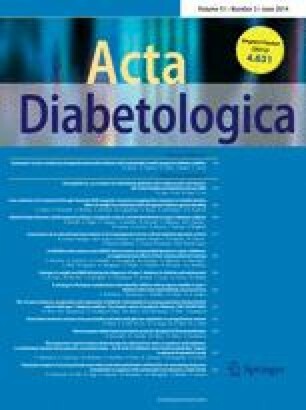 LC was strongly associated with DM, with around 40 % of diabetic patients. In the group of patients with LC without HCC, diabetes was not associated with the etiology of cirrhosis. This study was conducted for the CIRCE study group. Please refer the “Appendix” section for the CIRCE study group members. Institut National du Cancer (INCA), Ligue Nationale contre le Cancer, Fondation de France, Canceropole Grand Est. We thank Dr C Bonithon-Kopp of the Centre d’Investigation Clinique –INSERM CHU de Dijon for assistance with this study and Philip BASTABLE for his help in reviewing the manuscript. The authors who have taken part in this study declare that they have no conflicts of interest to disclose with respect to this paper. CiRCE Study Group includes (1) CiRCE Coordination France: Bronowicki JP, Di Martino V, Doffoel M, Hillon P (CiRCE coordinator), Thiefin G, CiRCE Coordination China: Wen H, He FP, Lu XM, Hillon P and Vuitton D (2) Circe Scientific Board: Faivre J (President), Cercueil JP, Cottet V, Delmas D, Ducoroy P, Duvillard L, Guenneugues M, Guéant JL, Habersetzer F, Latruffe N, Manfait M, Oudet P, Sockalingum G, CiRCE pharmacologists : Sgro C, Gillet P, Kantelip JP, Trenque T and Welsch M.
xydyfywsb@sina.com; hefp5577@126.com; luxiaomei88@163.com; dominique.vuitton@univ-fcomte.fr; jean.faivre@chu-dijon.fr; jean-pierre.cercueil@chu-dijon.fr; vanessa.cottet@u-bourgogne.fr; dominique.delmas@u-bourgogne.fr; patrick.ducoroy@efs.sante.fr; Laurence.duvillard@chu-dijon.fr; marc.guenneugues@canceropole-ge.org; Jean-Louis.Gueant@medecine.uhp-nancy.fr; Francois.Habersetzer@chru-strasbourg.fr; latruffe@u-bourgogne.fr; michel.manfait@univ-reims.fr; Pierre.Oudet@chru-strasbourg.fr; ganesh.sockalingum@univ-reims.fr;; pierre.gillet@chu-nancy.fr; jpkantelip@chu-besancon.fr; ttrenque@chu-reims.fr; marie.welsch@chru-strasbourg.fr.